Parrish Smith, known for his analog work akin to a dystopian psychedelic warehouse rave on New York’s L.I.E.S. label and as one half of the underground punk / EBM duo Volition Immanent trades in his analog gear for samples from Suriname, India, and Indonesia. But aside from a few flutes and distant voices, the EP seizes the field recordings’ underlying emotion and ethical questions rather than their musical heritage. Gamelans and strings are stretched into majestic pads and unidentifiable melodies are distorted to provide grating granularity instead of a melody. “The sounds are not perfect; it is more primitive. In almost every track you can hear noise/hiss pops and clicks. I don’t want to romanticise this whole subject”. And like a ship crossing the sea, GENESIS BLACK massively churns forward guided by Smith’s own effected voice as he recites a striking narrative that’s melancholic and transfixing. Smith, the son of Surinamese parents of Indian and Chinese descent who immigrated to Surinam before later coming to the Netherlands went to great lengths to research and understand the lives of the individuals subjected to Dutch colonialism – a topic that until recently received little mainstream attention in the Netherlands. 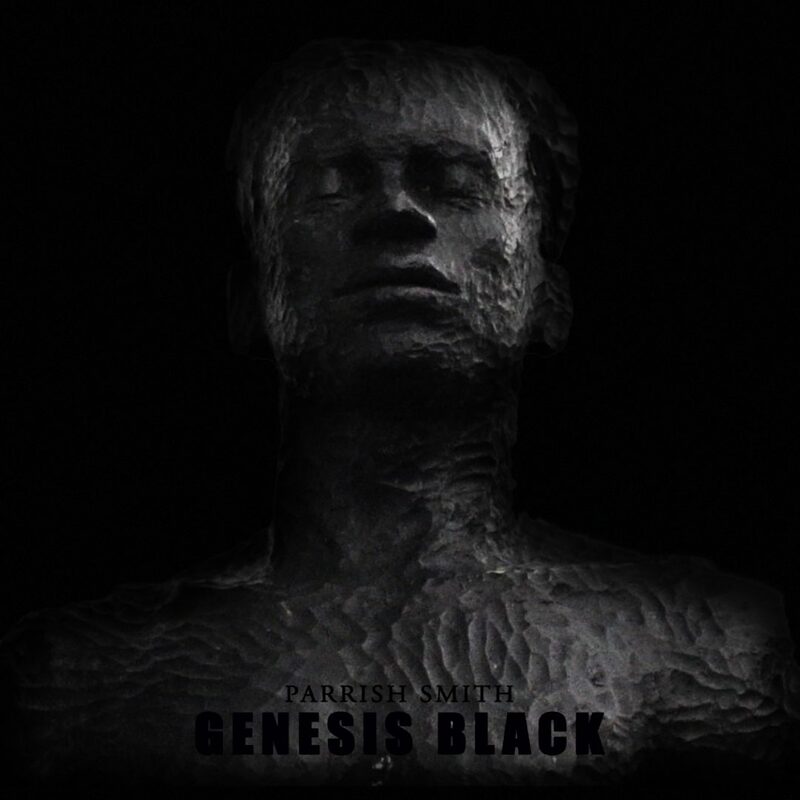 GENESIS BLACK is not Smith’s first social commentary work. Last Autumn he was invited to compose a soundtrack for Chinese photographer and activist Ai Weiwei’s #Safepassage exhibition. 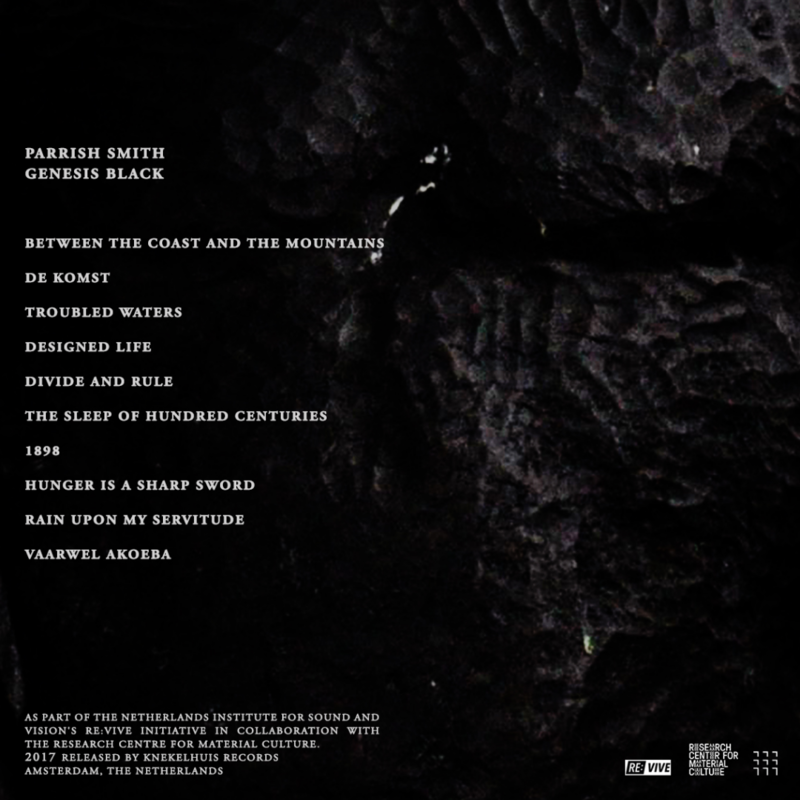 At a time when inequality, segregation, xenophobia and discrimination occupy the political and socio-economic discourse, impacting the lives of millions of innocent individuals seeking to find their place in the world and secure a future for themselves and family, GENESIS BLACK uses the archival field recordings -a direct representation of a time when the lines between exploration and exploitation were drastically obfuscated- as a way to translate and transmit the subtext buried beneath the sounds to remind the listener: this is not new.